Unbeknown to most users, other resellers have been offering the same Walmart design for months. Walmart, however, has the clear advantage in price and volume and is able to offer the same exact chassis and specifications for hundreds of dollars less. Walmart made the unexpected announcement late last month that it would be jumping into the gaming arena with its own brand of desktops and laptops. Called Overpowered (or OP for short), we mentioned on our original report that the OP laptops are based on Chinese TongFang barebones. Since the TongFang barebones design has been available for months, other resellers have already beaten Walmart to the punch including Schenker and Monster. These PC builders have the exact same Walmart/TongFang design and they offer near identical specifications across the board. The CPU, GPU, and even 1080p 144 Hz display are all the same across these laptops and so these models share very similar brightness levels, contrast, performance, battery life, and more. For all intents and purposes, we've already reviewed the $1400 Walmart Overpowered 15 gaming laptop—it's just under a different brand name. Our measurements and comments on the Schenker XMG Neo 15 and Monster Tulpar T5 all apply to Walmart's new 15-inch offering. As for the 17.3-inch Overpowered 17, we've yet to check that one out. 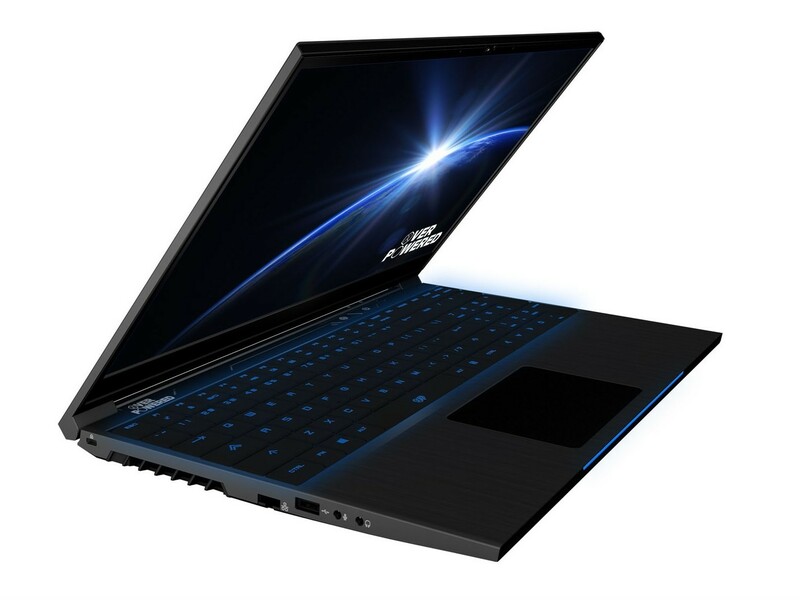 To Walmart's credit, its Overpowered 15 laptop starts at just under $1000 with the Core i5-8300H and GTX 1050 compared to $1400 for the i7-8750H and GTX 1060 version. The retailer is notorious for its large volume and ability to push prices down for consumers. Perhaps unsurprisingly, both SKUs of the Overpowered 15 are already out of stock as of this writing. See the official product pages for the Overpowered 15 laptops below.